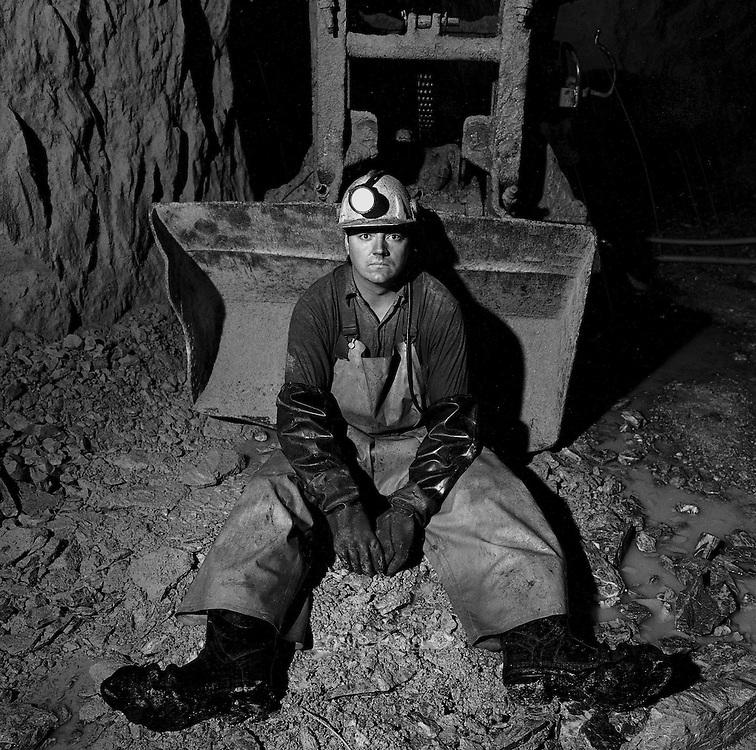 Steve Allen sitting in front of a CAVO 320 mucking machine, 1450 foot level, Kerr Mine, Virginiatown, Ontario. From the book Cage Call: Life and Death in the Hard Rock Mining Belt. An in-depth project spanning over 12-years examining communities in one of the richest mining regions in the world located in Northwestern Ontario and Northeastern Quebec in Canada. © 2007 by Louie Palu.FOR EDITORIAL USE ONLY. ANY OTHER USAGE REQUIRES PERMISSION FROM THE PHOTOGRAPHER.